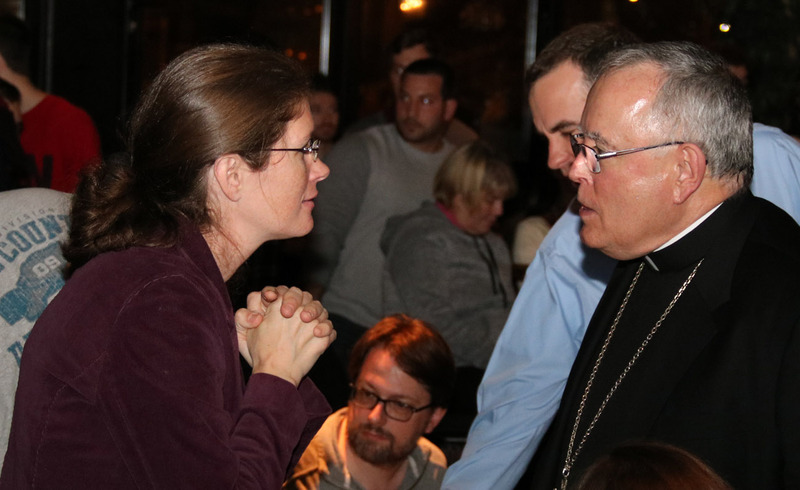 Archbishop Chaput blesses participants of the Theology on Tap session Nov. 29 at the Stove and Tap in Lansdale. Megan Mastroianni, assistant director of the archdiocese’s Youth and Young Adult Ministry, gets a strong vote of confidence by her boss, Archbishop Chaput, and for Jacob King, director of the ministry. 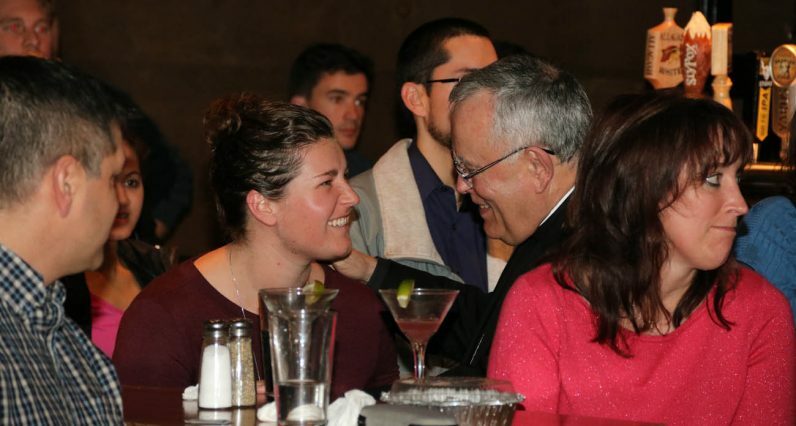 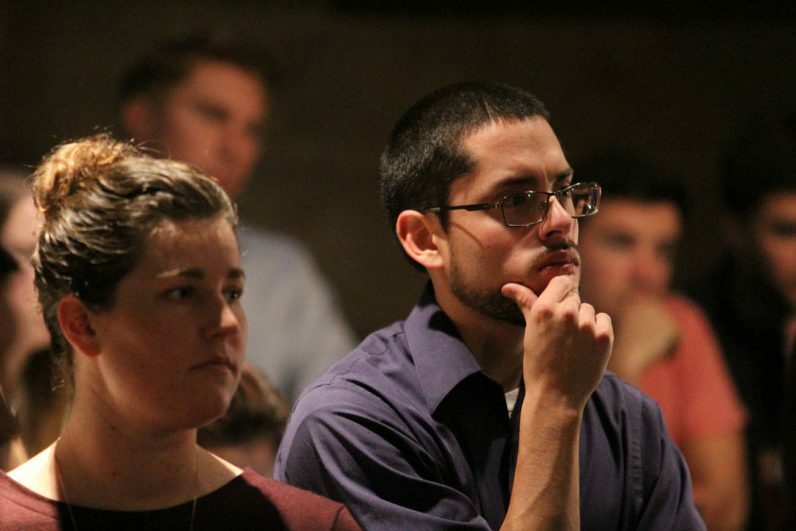 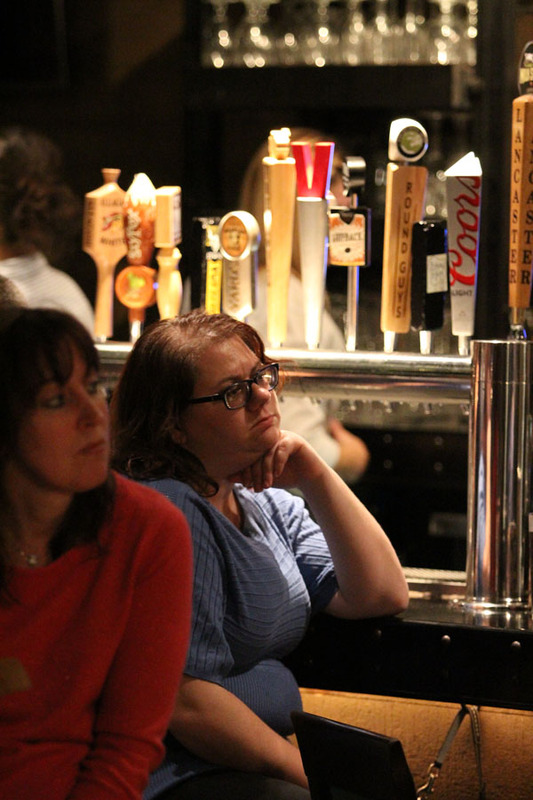 Young adults listen intently to the Q&A session with Archbishop Chaput Nov. 29 in Lansdale.